Main purpose of this report is to analysis Credit Management in Islami Bank, here focus on Shahjalal Islami Bank Limited. Other objectives are analysis the Lending procedures maintained and observe principal Lending activities of Shahjalal Islami Bank. 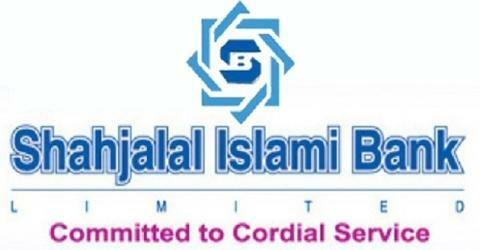 Report also evaluate Lending performance of Shahjalal Islami Bank Ltd. Finally identify problems in credit operations and recommend suggestions for the successful Lending Operations of the Shahjalal Islami Bank Limited. The area of the study covered the operational area, particularly investments & Credit, and Financial Aspects of Shahjalal Islamic Bank Ltd Dhanmondi Corporate Branch. Departmental heads and other concerned officials, particularly those associated with the credit division and FCAD Department of the bank, were consulted to get the required data & information. High quality financial service with the latest technology. First, accurate and satisfactory customer service. Balance & sustainable growth strategy. Optimum return on shareholder’s equity. Introduction innovative Islamic banking products. Providing support for social benefit organization- by way of mobilizing fund and social services. Voluntary Sector – Social capital mobilization through CASH WAQF and other. Investment income: Total investment of the bank as at 31st December 2007 was Tk. 2158 million as against Tk. 1357 million of the preceding year registering 59% growth over last year which was 84% of the total income as also equal to 84% of 2005. Non-investment income: Total non-investment income of the bank as at 31st December 2007 was Tk. 405 million as against Tk. 263 million of preceding year registering 54% growth over last year which was 16% of the total income compared to 16% of 2006. Profit Paid on Deposits: Bank distributed profit of Tk. 1491 million the Mudaraba Depositors in the year 2007 against Tk. 944 million in the year 2006 which being 70% of the investment income earned from deployment of Mudaraba fund and 87% of the total expenditure of 2007 against 84% of 2006. Operating Expenses: Total operating expenses as on 31.12.2007 was Tk. 227 million as against Tk. 174 million of 2006, which was 13% of the total expenditure of the year 2007 against 16% of 2006. Operating Profit: During the year 2007, the Bank earned an amount of Tk. 2563 million and spent an amount of Tk. 1718 million, resulting a total Operating Profit of Tk. 845 million which increased by Tk. 343 million over last year i.e. 2006. After deduction investment provision and income taxes net profit stood at Tk. 463 million as against Tk. 256 million of 2006. As appropriation of net profit, Tk. 158 million transfers to statutory reserve as per Bank Company Act 1991 and remaining Tk. 306 million transfers to retained earning to adjust previous negative balance. Table: Operating Result of SJIBL on December 2007-2006. Total equity of the bank as on 31.12.2006 was Tk. 848.35 million and the total equity stood to Tk. 1362.57 million on 31.12.2006m, which was 10.36% of the Risk Weighted Assets as against the requirement of 9.00%. The core capital was 9.19% of Risk Weighted Assets as on 31st December 2007 as against requirement of 4.50%. After IPO, as on 30.062007 total equity stands at Tk. 2545.30 million which was 17.73% of Risk Weighted Assets as against total requirement of 9%. The bank entertains good investment clients having credit-worthiness and good record. The bank has got a few investment schemes to provide financial assistance to comparatively less advantaged group of people which are. The following two investment schemes are going to be introduced shortly. Liquidity in the form of balance with Bangladesh Bank, Sonali Bank (as the agent of Bangladesh Bank) and in hand including foreign currency stood at Tk. 1670.12 as at 31st December 2007 as against Tk. 1702.27 million in last year to maintain cash & statutory liquidity. The Bank is committed to maintain the cash and statutory liquidity requirement to effectively manage the asset & liability portfolios of the bank in order to maximize the profit. As per guideline of the Bangladesh Bank ALCO (assets liability committee) was formed in 2005, which is highly concerned with proper liability management under the close supervision of senior management. The bank has a policy guideline on liquidity management as approved by its board of directors. We have able to maintain required CRR and SLR throughout the year without fail as per Bangladesh Bank’s norm. All the branches of the SJIBL are fully computerized. New software is now in use to provide faster, accurate and efficient service to the clients. The bank is continuously striving for better services through extensive automation of its branches. We are soon going to launch “One Branch Banking” through on-line connectivity. The bank has set up a full-fledged IT division to keep abreast of the latest development of IT for better service in the days to come. In recent times, corporate governance has been considered most essential aspect for efficient management of a business house. SJIBL gives much emphasis on the corporate governance in promoting a sound management. The object of the bank is to comply with all regulatory requirements, ensure equitable treatment of all stakeholders. It confirms full & fair disclosure of financial and other material information and show respect for norms of business ethics and social responsibility. The Board of director, Executive committee, Audit committee and other committee of the management perform their respective tasks with accountability and transparency. Exception to be followed up on the corrective action taken in a timely manner before the account deteriorates further. Quality, quantity, price and storage of Bai-Muajjal goods shall be ensured by the branch. There must not be any fictitious buying and selling of goods by way of creating a new investment i.e. the goods one sister concern must not be brought by another sister concern of client for purpose of adjustment. Stock report must be submitted on monthly basis and inspection thereof should be conducted by the branch officials at regular intervals. Duty, VAT, AIT and other port dues shall be borne by client from own sources.